Nothing will warm you better on a cold day in January than a piping hot Chicken Pot Pie from the Good Hart General Store. 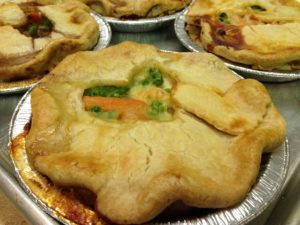 Book your condo get-away and we will have one of these delicious homemade chicken pot pies waiting for you. Let's celebrate this little known holiday. Instead of "baseball, hot dogs and apple pie", our new winter mantra is "skiing, snowmobiling, and Chicken Pot Pie!"